What are you looking to discover this fall? 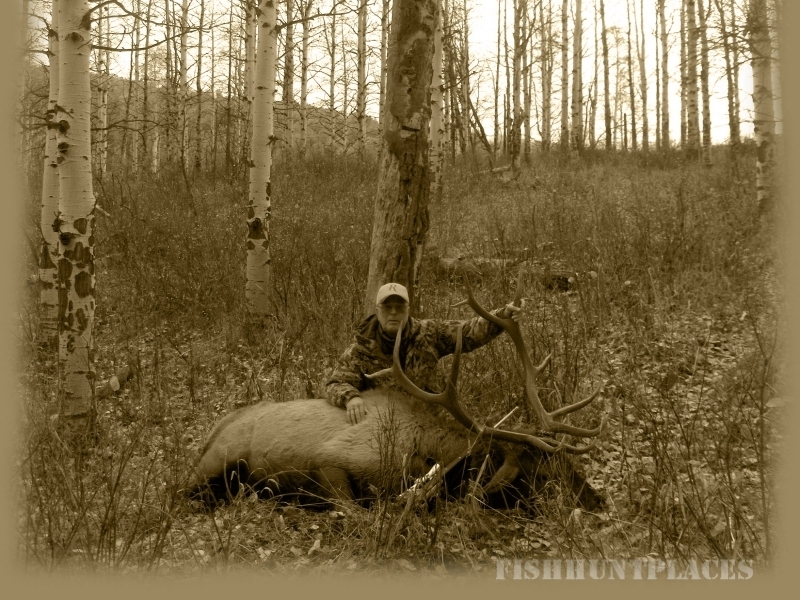 Is it the opportunity for a genuine Colorado elk hunt on a private ranch? A private ranch nestled in the heart of the White River National Forest, where you would be hunting the largest elk herd in North America. Or maybe you’re looking for a trophy antelope hunt on the eastern plains of Colorado? Wapiti Outfitters offers both of these hunts. Whichever hunt you venture on, you deal directly with the landowner and outfitter. At Wapiti Outfitters we do everything we can to harvest your game of choice. With that said we also believe, “Pulling the trigger only takes a split second, but a week worth of hunting is what should be remembered”. It's a time for fellowship and camaraderie and to have a good time as well as have a great hunt! Let Wapiti Outfitters help you discover the hunt of a lifetime. Check out our Colorado Elk Hunting and Colorado Antelope Hunting pages for more information about our hunts, properties, and rates and dates. Fly-fishing in Northwest Colorado on the White River, you’ll be fishing on one of the last remote places in Colorado. It has many great tributary streams where you will find yourself fishing a hidden gem. Two miles of Big Beaver Creek run through the middle of our ranch, and it has been said by many fly fishermen to be one of the most special creeks they have ever fished. It is an area proven to be a great experience for the beginner fly fisherman as well as a seasoned fly fisherman. We offer day trips and overnight fishing trips. For overnight trips, you have the option to rent a cabin for your stay. You can also choose whether to have a guided or unguided fishing trip. Call for details and pricing.